Microsoft has announced their new Surface tablets with lot of accessories and it comes in two models, Surface 2 RT and Surface Pro 2. Microsoft improved their Surface RT and Surface Pro tablets that was launched last year and now released second generation tablets. 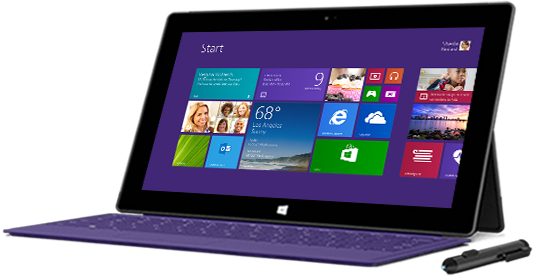 Both tablets has 10.6-inch full HD display with 1920x1080 pixels resolution and runs on Windows 8.1 operating system. The Surface 2 Tablet has Tegra 4 Quad core processor that makes the tablet very faster and Windows 8.1 OS provides better performance. It features 3.5 MP front camera and 5 MP rear camera will take quality photos and videos compared to older Surface tablet. It has USB 3.0 support while older surface has USB 2.0 and also a Video out port. Microsoft claims this tablet is thinner and lighter than the old Surface. 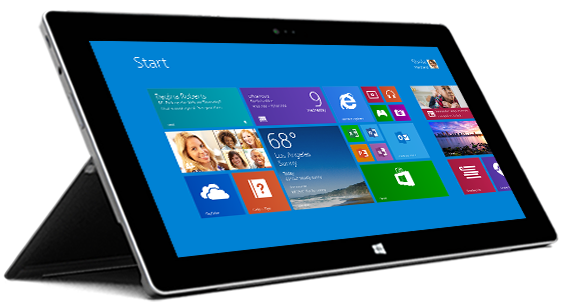 Microsoft Surface RT 2 is comes with two colors are Black and White. Microsoft released lot of accessories for the Surface Tablet including Touch and Type covers that costing extra amount. It offers also 200 GB Skydrive storage for 2 years and 1 year unlimited voice calling to landlines over 60 countries from Skype. The tablets will available in 21 countries to purchase from 22 October 2013 and the pre-order has also started.